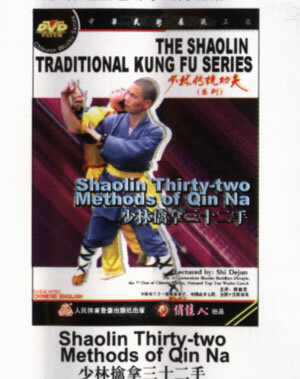 Qin Na is one of the four fighting skills "kicking, hitting, throwing, (Na) catching" in Wushu. Its main way is to catch the tendon or twist joint, which let the adversary fold joints and hurt hardly, loosing his ability to resist. It contents thirty-two forms such as catching wrist, elbow, knee and head, etc. There are the fight skills that are particular for both catching and throwing.